I grew up with model kits in the 1970s and 1980s, and I’ve always loved them. And neither of those qualities, incidentally, is the same thing as being good at building model kits. My father is a truly great model-builder, but I don’t think I have ever possessed the patience, coordination or necessary skill to build great models, and then to paint them as well. Most of the time, I just wanted to play with the kits immediately after assembly and begin my imaginative adventures in the final frontier. 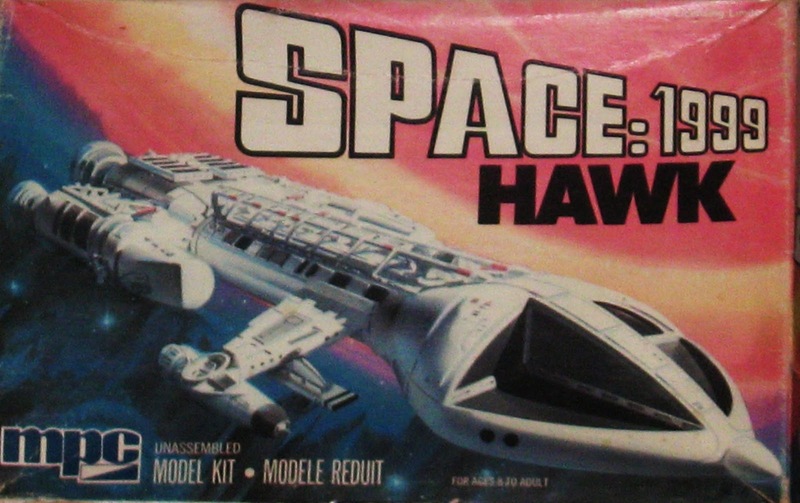 Still, I have terrific childhood memories of sci-fi model kits from decades-past. Starting from the time I was probably five or six, my father would purchase a model kit for me almost weekly from a hobby shop in nearby Bloomfield, New Jersey, and spend Friday evening assembling it for me. I would have to go to bed before he finished gluing and painting, but first thing the next morning, I would spring up from bed and find the completed, painted – gorgeous — model waiting for me on the staircase leading up to the attic, which was right outside my bedroom. I still remember my Dad’s work station in the house where I grew up on Clinton Road in Glen Ridge. Behind the family room sofa, he had a table (with wobbly legs…) and atop it was a giant gray box. Inside that large flip-up box were all of his modeling supplies, from utility knives to paints, to clamps and sand paper. In a narrow space nearest to him, on the other side of the box, he had his assembly area. I still remember that the surface of the table was splotched and blotted with paint droplets. Sometimes, when I was very little, I would sit at his table during the day and try to scratch the paint off with my fingers, for some reason. I also have lots of memories of watching my Dad working on my models at his “station,” occasionally looking up to catch what was happening on Wonder Woman, The Incredible Hulk, or The Bionic Woman. Since I’ve always been a space adventure fan, the kits my father built for me were when I was little were usually of the Star Trek or Space: 1999 variety: starships and moon bases and the like. That was where my tastes went, but my Dad was also a great builder of his own kits, primarily tanks from the World War II era. 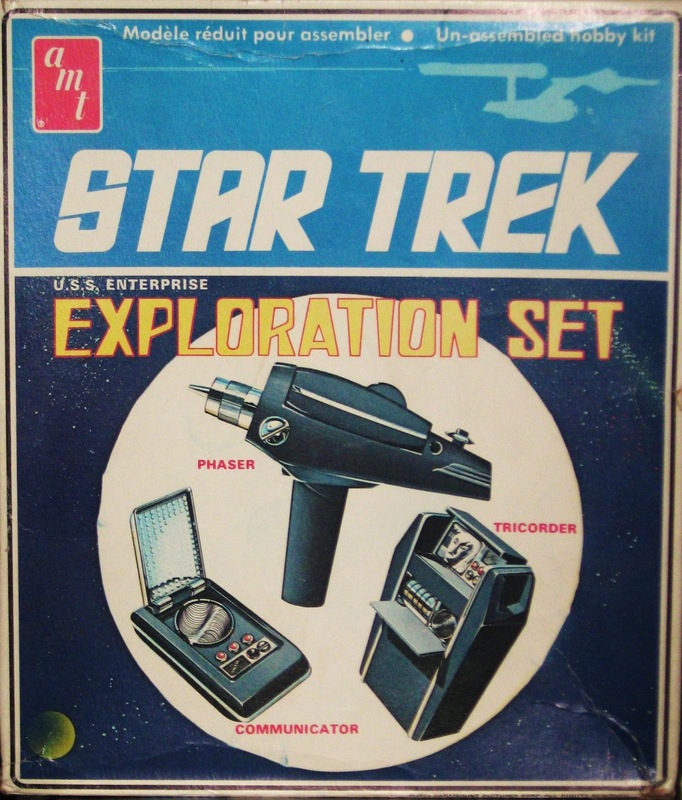 One morning in the early 1970s that I’ll never forget, I found on those stairs outside my room a completed Star Trek exploration set from AMT, consisting of the famous communicator, phaser, and tricorder. That kit really made my weekend, and I promptly took the Starfleet equipment out on landing party duty (by the nearby train tracks and field, where I played…). 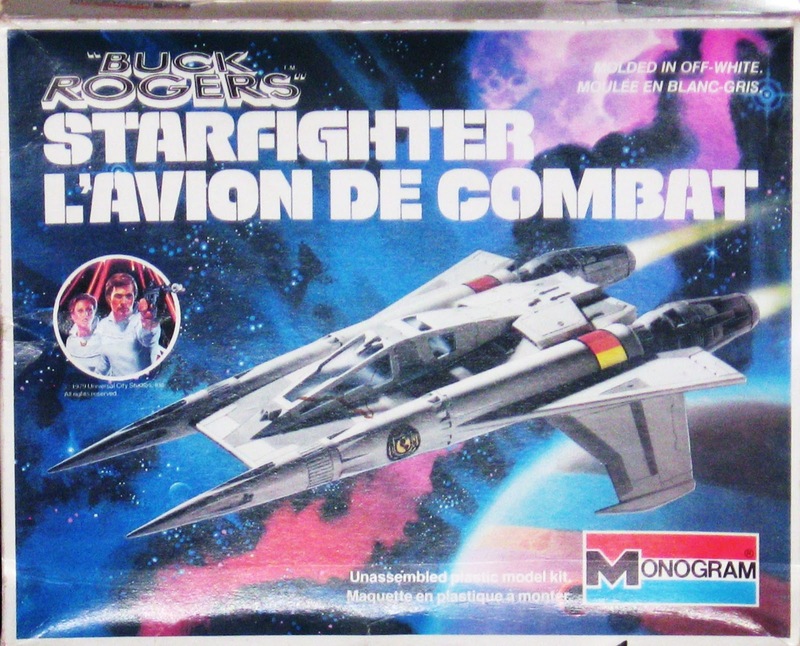 I also remember going to that same hobby shop in Bloomfield some time in 1978 — before Battlestar Galactica actually premiered on ABC — and seeing on the shelves the whole line of Monogram model kits from the series, including Colonial Vipers and Cylon Raiders. At that point, I had no idea what a “Colonial” or “Cylon” was, but I knew I had to have those spaceship kits, and my father, as usual, indulged me. Another experience I recollect very clearly came in the winter of 1980 — when I was very ill — resting on the sofa in our family room and watching the Lake Placid Winter Olympics while my father built me an AMT Starship Enterprise. As bad as I felt physically, I also felt good because I knew for certain that the next morning I would wake up and have a beautiful Constitution class starship to play with. 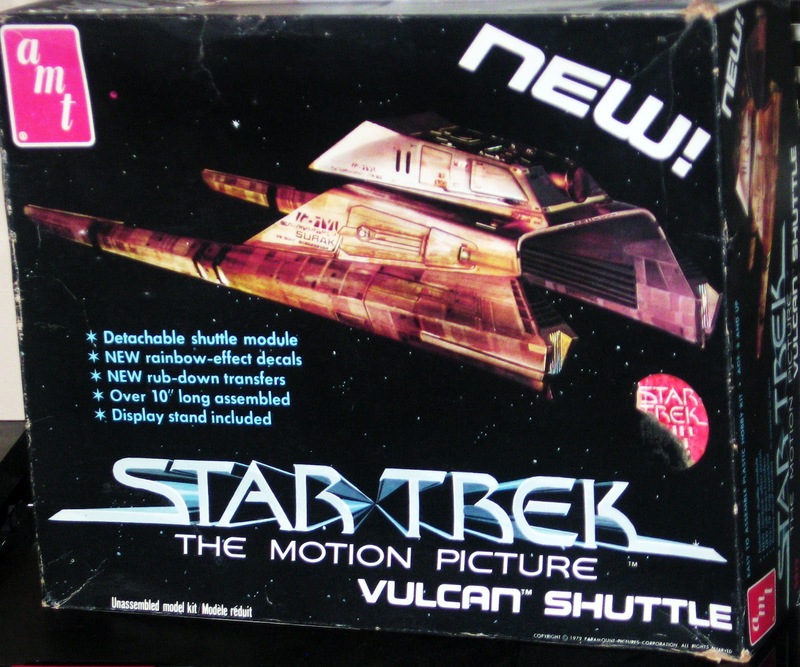 Over the years of my childhood and adolescence I collected model kits from Star Trek, Space: 1999, Planet of the Apes, Star Blazers, Battlestar Galactica, Buck Rogers in the 25th Century, The Black Hole and other franchises. Eventually, I started building the models myself, but as I wrote above, I never was as good at the task as my Dad was. I did build a terrific Blue Thunder and Airwolf, when I went through my obsessive helicopter phase in 1983-1984, however. 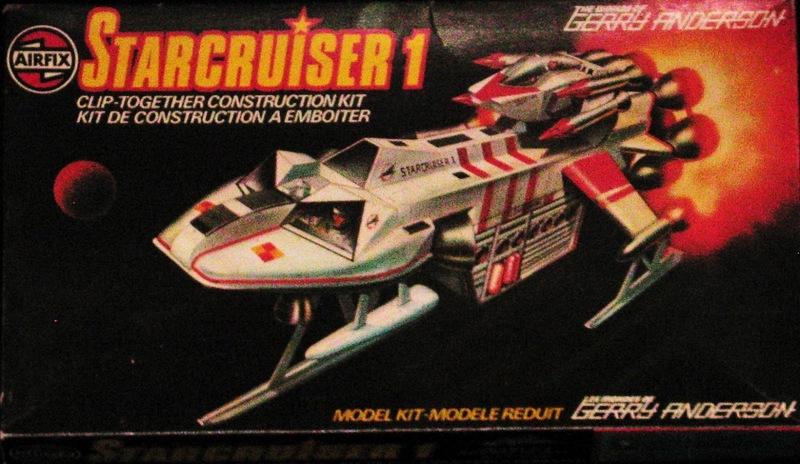 And to this day, one of my all-time favorite models to build was “Gerry Anderson’s Starcruiser One,” a kind of three in-one spaceship from Airfix that, in my opinion, was an absolutely perfect spacecraft. I have included with this post some photos of the model kits (boxes…) I’ve collected over the years. I know it’s a wealthy collector’s hobby today, and in 2012, there are toys available of the vast majority of these spaceships. But there’s still something incredibly special to me about a sci-fi model kit. 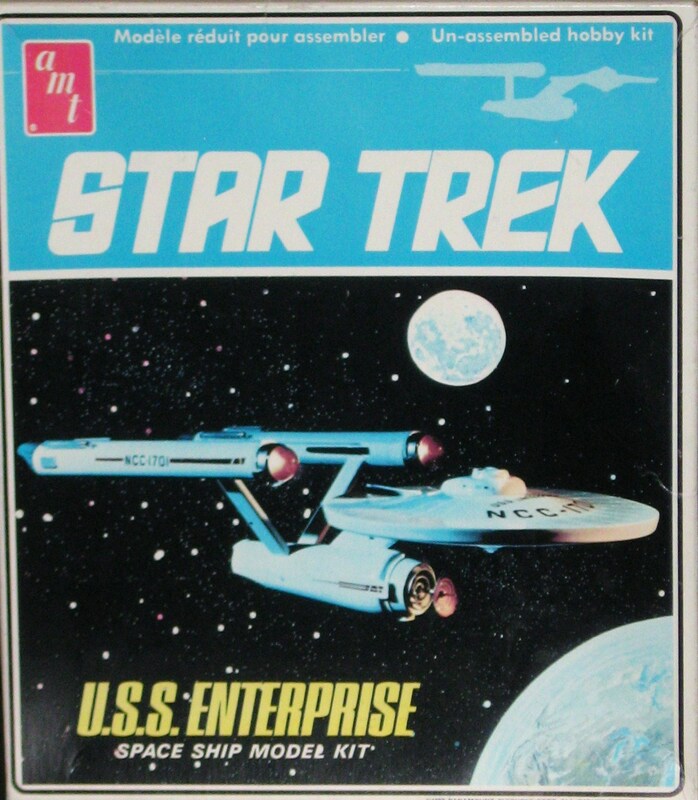 For when I was young, there was no other way to play with the starship Enterprise, except by AMT model kit. Although I suppose most Star Trek fans would say that the famous Federation starship was constructed at the Naval Yards in Earth orbit, as a kid I knew with certainty that the great vessel was built – with a lot of love — at my Dad’s work table in the family room. As a child growing up in suburban New Jersey of the mid-1970s, there was probably nothing more exciting than a (long…) family day at the amusement park called Great Adventure. The park yet endures — in Jackson, New Jersey — and for many years it has existed under the corporate umbrella of Six Flags. But the Great Adventure I remember so well – from my first visit, as a kid of seven or so — came before that particular era began. The first time I visited Great Adventure with my Mom and Dad and sister, it must have been circa 1976 or 1977. I’m not certain of the exact date. But I was a little kid, it was summer, and I remember we got up when it was still dark, probably before 5:00 am, packed a picnic lunch, and then drove for what seemed like an eternity to reach the park. At this point in my life, I hadn’t yet visited Disney World (that happened in 1979…during a hurricane), so I had never seen anything like the Great Adventure amusement park. We drove our car through the safari first, and it was a crazy experience. Animals would walk up freely to the cars and get very…friendly. I remember monkeys jumped on the roof of our car and stayed there for a while, and an ostrich stuck its beak in my mother’s window, scaring the living daylights out of her. It was great fun. But this safari was just prologue. The amusement park was the main event. As I recall, you entered Great Adventure through a big gate, and walked an old-fashioned main street shopping venue where you could buy overpriced souvenirs. And – on all sides – were attractions of unbelievable size, color and scale. There was the great Ferris Wheel for instance, and from atop it, you could spy the vast expanse of the park. There was the famous Carousel, built in 1881 but then (and now) occupying land at GA. There was the Runaway Mine Train, a great roller coaster (above a small pond if memory serves…) in the Old West portion of the park. And then there was my personal favorite: the Enterprise. The Enterprise was not a traditional roller coaster, but a great wheel of cars that circled vertically, over and over again, at what seemed like high warp speeds. I think this was also my father’s favorite ride. Another unforgettable attraction at Great Adventure was the Moon Flume, or Hydro Flume, a log flume with space age trappings, and which always had long, long lines. Even at that age, I preferred the future to the past, and always preferred the Moon Flume, with its futuristic look, to the Old West’s log flume, at the other end of the park. Over the years, my family returned to Great Adventure probably five or six times, as new attractions were developed and added. Soon came Lightning Loops, a ride where you traveled a loop heading forward, and then reversed course and went through it backwards…very fast. 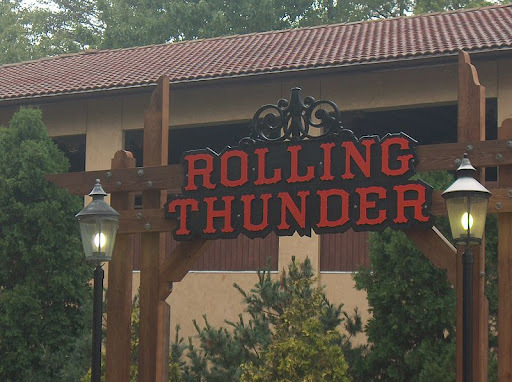 Not long after, the park also introduced Rolling Thunder, which at that time was the largest, most frightening roller-coaster I had ever seen. It was an absolute Goliath. 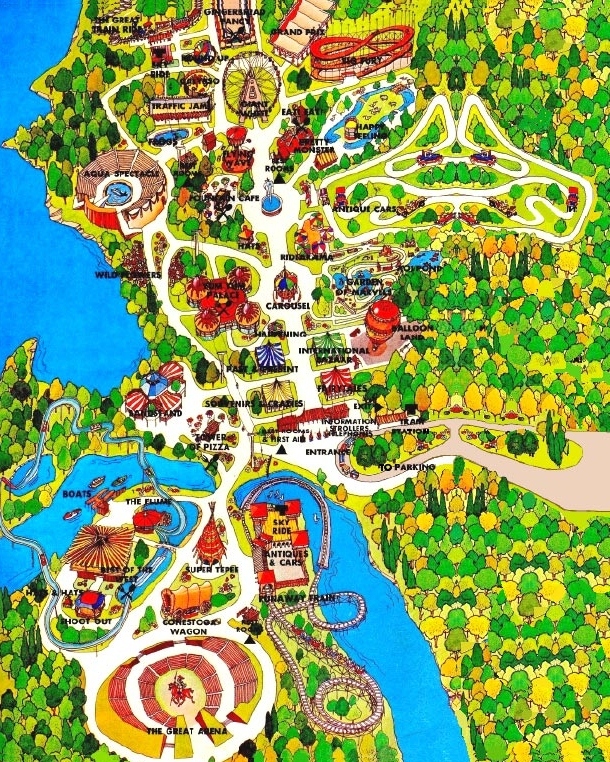 As the eighties came and went, Great Adventure added attractions like “Free Fall,” which I thought would stop my heart the one time I rode it, but the park also faced some bad publicity involving a fire in a haunted house attraction, and a tragic death on Lightning Loops. My last visit to the park was early in the summer of 1990, when I went to the park with my then-girlfriend, now-wife, Kathryn. She got sick on one of the rides, and didn’t have a great day. The magic was gone, in part because I had now grown up, and it was time to move on. We would soon be moving to North Carolina and beginning a life together. Still, I’ll always cherish the memories of that first, spectacular, magical summer day in the age of Jimmy Carter, disco and the bicentennial. I can still feel the excitement and anticipation during the car ride to the park and during a marathon day spent on the rides. We rode one ride after the other after the other, stopping only to see shows and eat our packed lunch of submarine sandwiches, Coke, and potato chips. The day lasted till well-after dark, till the thick of the night. Could such a magical place really have existed? 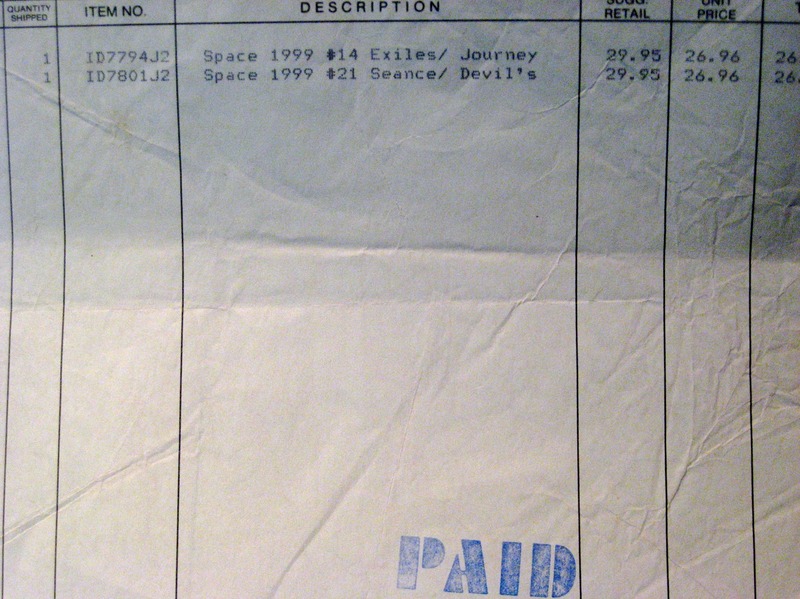 To a child, the 1970s Great Adventure was indeed a dream come true. I suspect that if I went back to the same park today, I wouldn’t recognize many of the rides or shows or attractions. Besides, if I really had the urge to visit a modern amusement park, there’s one nearby me called Carowinds. I could just go to that one. But in neither case, would it be the same. I’m reminded of Rod Serling dialogue from The Twilight Zone episode “Walking Distance” — “Maybe there’s only one summer to every customer.“ If that’s the case, I’m fortunate that mine, at GA, was so very, very happy. In a few years if not sooner, my five year-old son Joel will be ready for his first amusement park. It’ll be his summer, and I can’t wait for it to start. I trust I won’t be too old to ride the roller coasters and feel, at least a little, like a kid at Great Adventure again. All aboard the Log Flume! 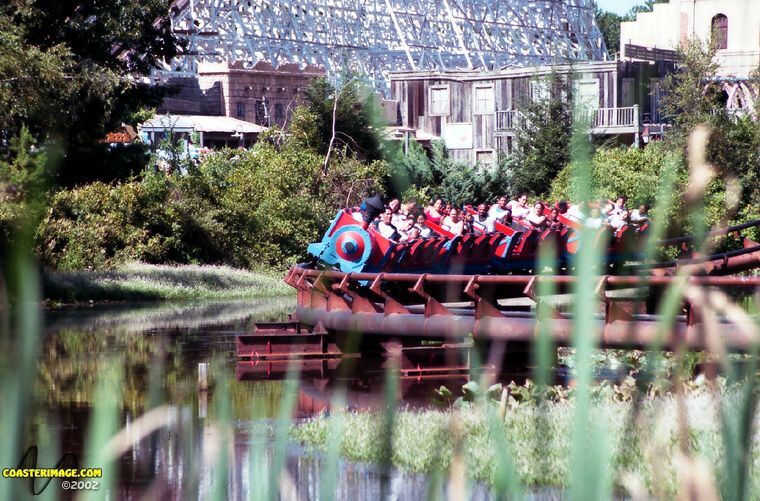 You can read more about Great Adventure and its long history here. The first video game console wars are long behind us, now. 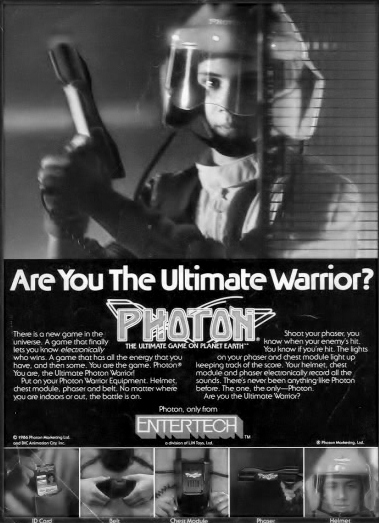 But thirty years ago — way back in 1982 — Milton Bradley produced a unique alternative to the Atari 2600 and Intellivision. 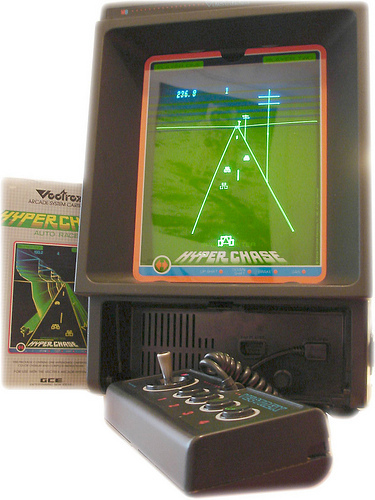 That alternative was called the Vectrex, a game console with a built-in “arcade-style” monitor which meant, in short, that you didn’t have to connect it to your television antenna with a box. The built-in monitor wasn’t Vectrex’s only distinction. 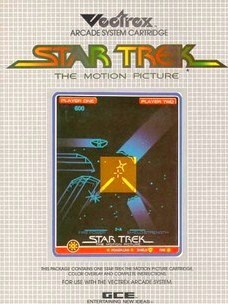 The “revolutionary” design featured “line graphics” for “laser sharp visual effects” rather than the standard pixels we associate with other game systems. In other words, the games looked a great deal like the arcade version of Battlezone: Green lines against a deep black background. 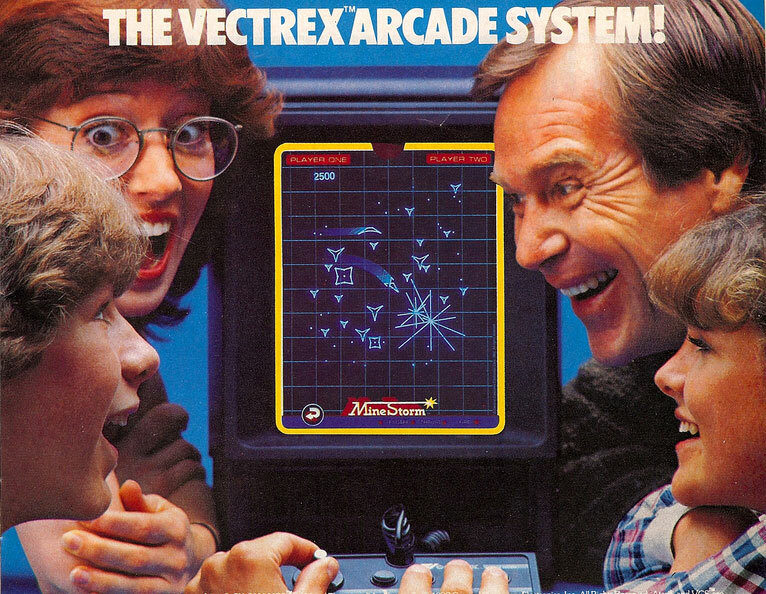 Selling for about wo-hundred dollars at the time, the Vectrex came complete with a “panel controller” (rather than the traditional joystick) and a consumer could also purchase peripherals including a light pen and a 3-D imager. The latter looked a lot like an early 1990s-style virtual reality helmet. Vectrex barely survived the Great Video Game Crash of 1983, but the system was discontinued in 1984. 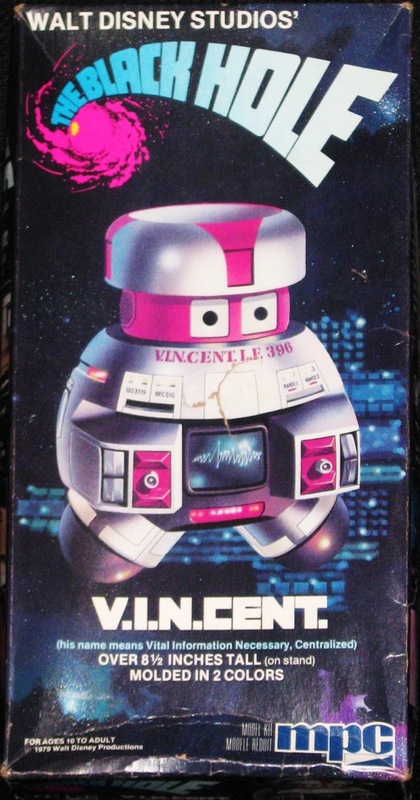 I remember owning one of these toys and, during my amateur movie-making high-school days, featuring the Vectrex as a background “space monitor” in one of my productions, called The Solaris Enigma. The Vectrex? It “stands alone.” Or it did…for awhile, anyway. Growing up in the 1970s and 1980s, TV Guide was not just a fact of life, it was an absolute necessity. 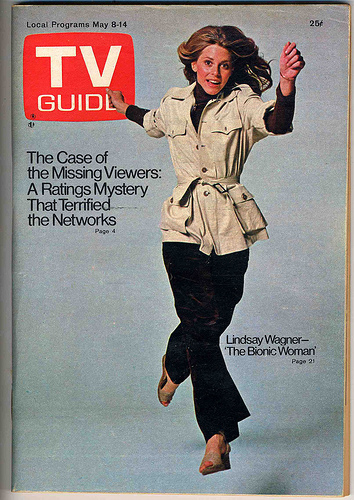 In the late 1970s and early 1980s in particular, TV Guide was not merely a magazine about program schedules, it was actually a huge and valuable research database for the developing film buff. 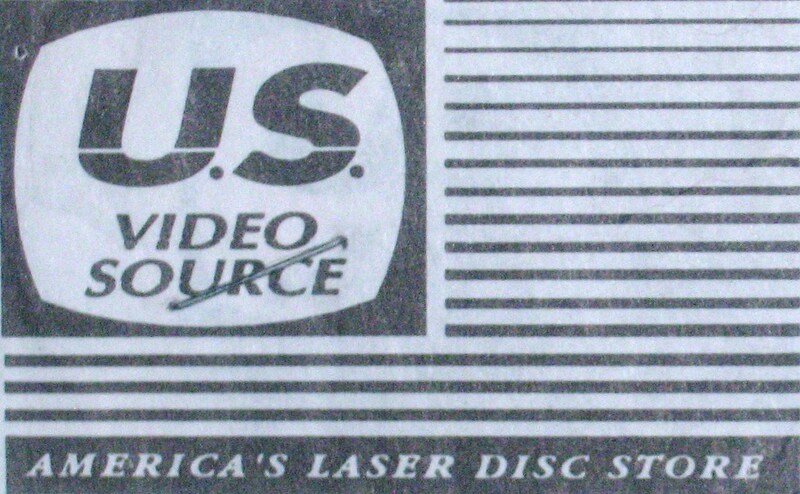 Before home video media really exploded to life (VHS and Betamax, at first), the only way to find movies you hoped or desired to see was to scour the pages of TV Guide every week for signs that a local or national station planned to air it. And miserable were the times when you indeed found the movie you were seeking, but your local area did not carry the particular station/channel planning to air it. This happened to me on several occasions. I remember one time when a TV station not in my area (but featured in TV Guide) aired the Gerry Anderson compilation movie “Alien Attack,” and I couldn’t see it. All I had was that delicious, tantalizing TV Guide synopsis, which I promptly cut out and kept in a scrapbook. Seriously though, by scouring the pages of TV Guide on a regular basis, I discovered for the first time (through reruns) TV-films such as Gargoyles, Satan’s School for Girls and Don’t Be Afraid of the Dark. 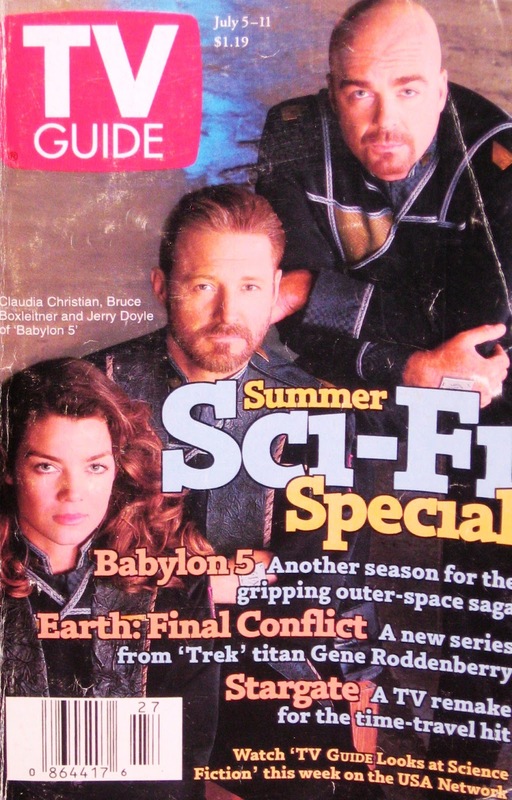 By searching, religiously — marker in hand — the pages of TV Guide, I first discovered films such as The Green Slime, Soylent Green and The Omega Man. It was an amazing time, especially because I was reading about classic and newer movies in the pages of Starlog, Fantastic Films, and movie reference books. So I was grateful to see such films as Konga, Gorgo, Mighty Joe Young, Day of the Triffids and the like, even cut-up and hacked to bits with commercials. Today, with Netflix, Roku, cable television, satellite TV and the like, this sort of advance planning for your viewing week isn’t really necessary, I suppose. Any title you read about, you can usually be watching within a week or two, with a few notable exceptions. 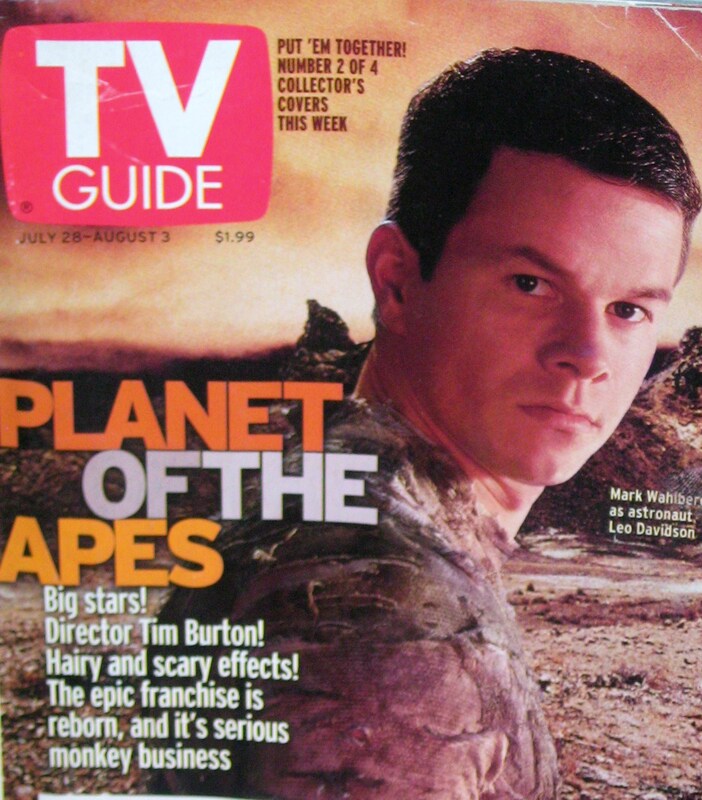 But back in the day, TV Guide promised a constantly renewing world of wonders every damned week. Of course, you had to stay up till all hours of the night, sometimes, to catch the movies you hoped to see, but this fact just added to the fun of the experience. TV Guide began its run in 1953 and today is known as TV Guide Magazine. Is it still fun to read? I don’t know, because I don’t read it anymore. 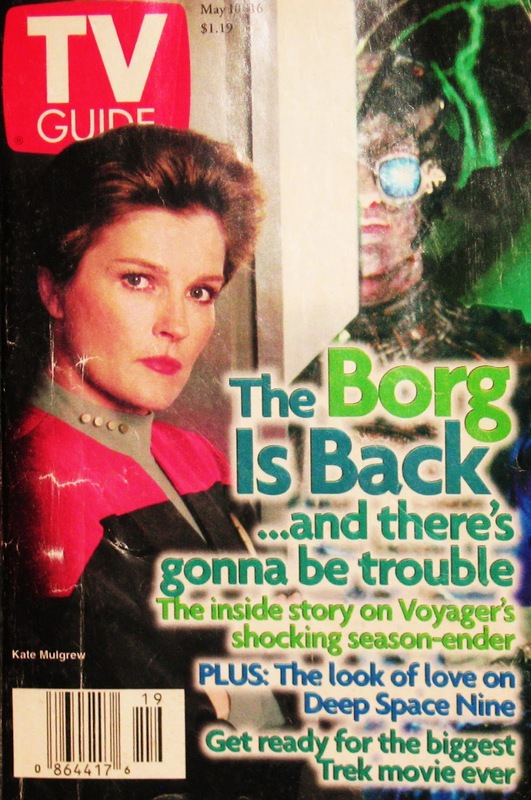 But I remember being a kid in the late 1970s and early 1980s and waiting with tremendous anticipation every year for the new “fall season preview” edition, which would reveal the nature of new programs coming on, and which old favorites were returning. I remember reading about (and being baffled by…) the changes in Buck Rogers in the 25th Century, for example, during the second season. 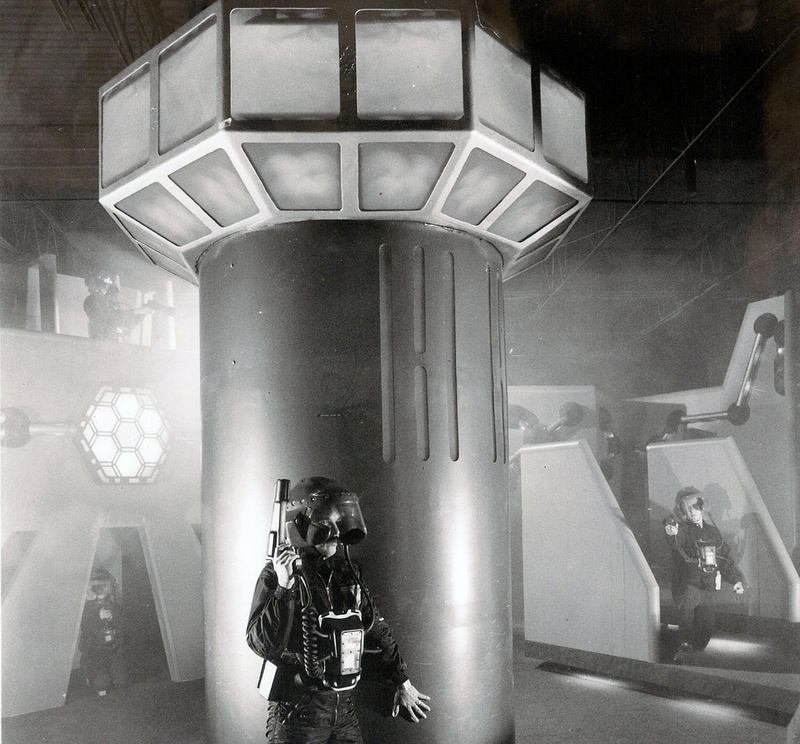 I remember reading about Galactica 1980, and thinking – Wow! This is going to be great! 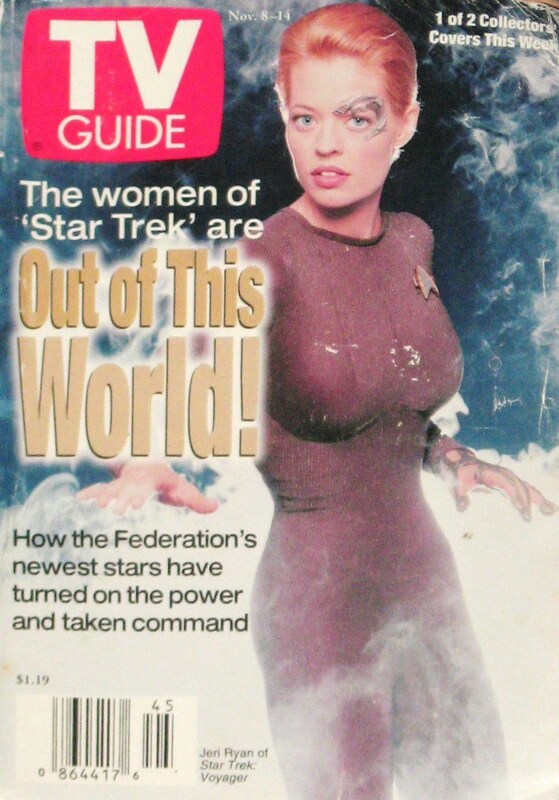 TV Guide was definitely good to the cult-tv fan in other ways too. Over the years, the magazine has featured a number of incredible covers of science fiction and horror series. 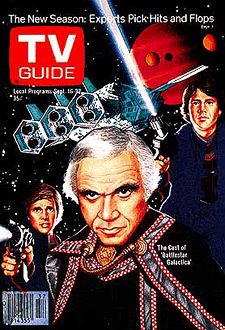 Battlestar Galactica (9/16/78), Cosmos(9/27/80) Mork and Mindy (11/22/80), and Alf (8/15/87) all graced covers of TV Guide over the years. 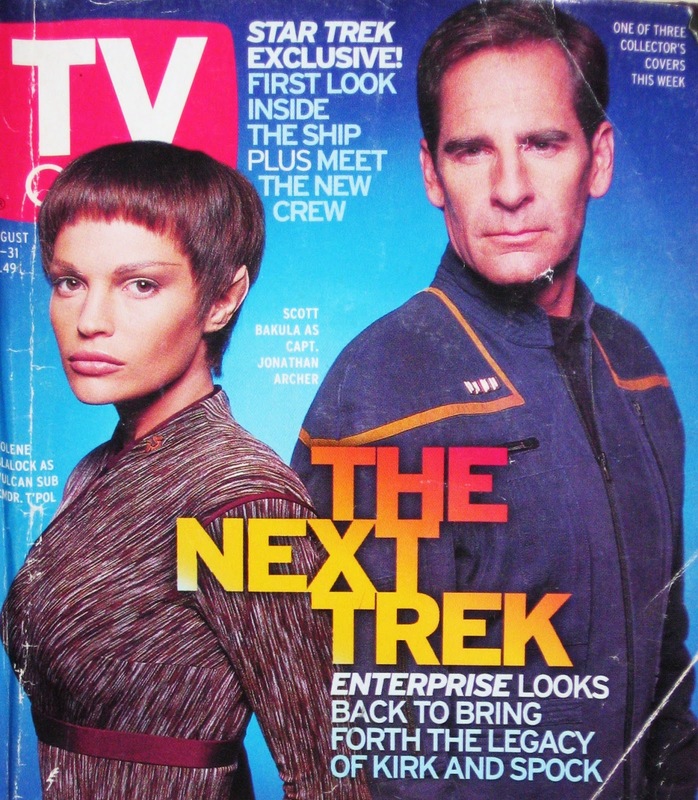 In the 1990s, Star Trek dominated the magazine with covers featuring Kirk vs. Picard (8/31/91) and Deep Space Nine(01/02/93). Again, I don’t read TV Guide today – I don’t need to. But I have these great, happy memories of stretching out on my sofa in the 1980s, and highlighting the programs and films I hoped to tape on my VCR. Every Friday was an exciting day as well, growing up, because the mail would bring next week’s edition of TV Guide, and open up to me a new universe of wonders. Look, it’s Planet of the Apes week on the 4:30 Movie! 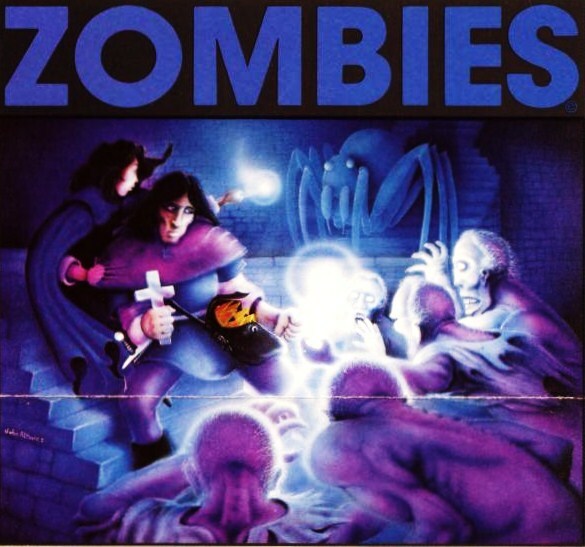 One of the greatest (and coolest) video games I ever played on my old Atari 800 in the 1980s was Mike Edwards’ Zombies (BRAM Inc; 1983), later re-released by EA in 1984-1985 as Realm of Impossibility. This game was available on both cassette (!) and floppy disk, but my memory is that I played the game on disk. It was so long ago now, I’m not entirely certain about that detail, however. Regardless, my father was vice principal at Mountain Lakes High School in New Jersey, and was close friends with a 1980s Atari guru, one who was outfitting the school with a number of computers as the PC era began in earnest. One day, out of the blue, my Dad arrived home from school (on his motorcycle…) with a bundle of video games on disk and cassette. I had never heard of any of these games, but it felt like Christmas morning. They had titles like Blue Max, Trains, Murder on the Zinderneuf, Bruce Lee, Astro Chase, B.C.’s Quest for Tires, Caverns of Mars, and last — and best –– Zombies! 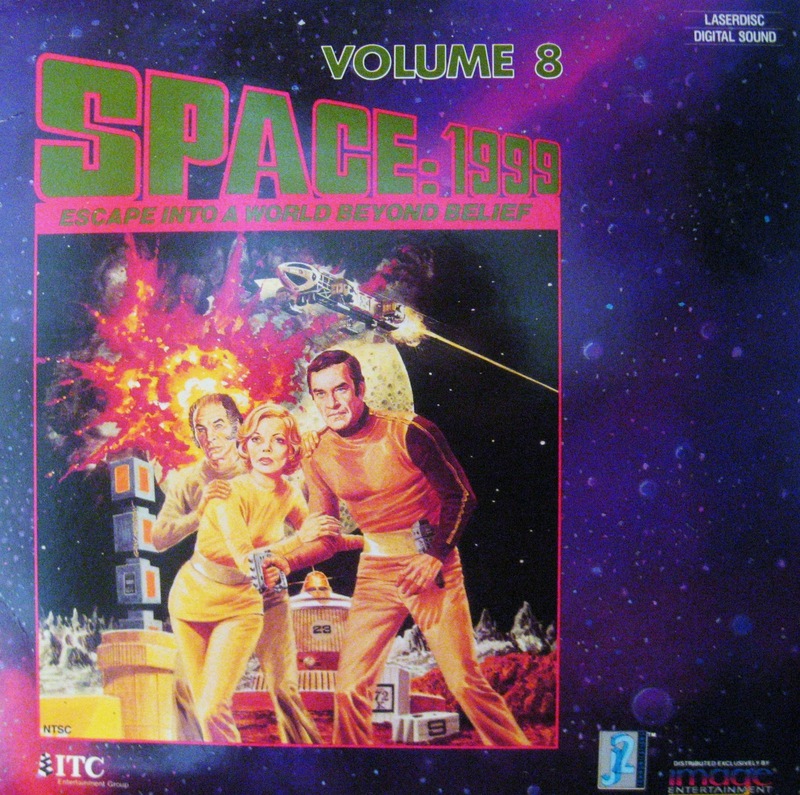 Designer Edwards was inspired in part by his love of TSR’s Dungeons and Dragons, as he wrote in the marketing booklet for Zombies, available here. 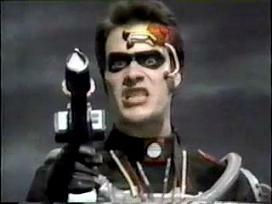 But he also wanted to get away from simple shoot-em-up games of the era. Thus he devised Zombies with a few diabolical and genius twists. Among these were the fact that as a player you were not awarded multiple lives. When you died…you died, and had to begin the game again. And thirdly, the game was two-player compatible, but the two players did not compete against one another. Rather, they had to work together, in unison, to avoid the zombies and retrieve the crowns. This made the game perfect for when my friends came over after school, or on Saturday afternoons, for surviving Zombies was an exercise in team work. On that last front, Zombies showcased unbelievable, M.C. Escher-inspired screens that, despite the young age of the form, were authentically mind-blowing in terms of viewer perspective. I wish there were more screens available that I could display in this post. I’ve written here before how I’d like to see a consistent set of aesthetic criteria applied to video games because I do consider them an art form. When I think about it, Zombies is likely the game that began me thinking along those terms, even as a teenager. The game was beautiful to behold, and completely immersing. For instance, I remember (I hope correctly…) that when the zombies touched you during the game, your life energy would bleed away quickly, but also that the game screen would pop and crackle, like you had been struck by electricity. If you ask me, I can still “feel” that shock, though of course, no such physical shock was actually delivered. I can’t even begin to estimate how many hours I spent during my teenage years navigating Tartarus, the Stygian Crypts, or the Realm of Impossibility. But it was a lot, I’m certain. I have wonderful memories of playing this game with Bob, Chris, and Scott, my best friends in high school. I attempted to download a version of Zombies when I was preparing this post, but my Sony Vaio wouldn’t accept the game format, dammit. Below, I’ve included some YouTube videos of game play, but these videos are from the Realm of Impossibility version (which had 13 levels, six more than I recall on Zombies.) But still, you’ll get the idea. 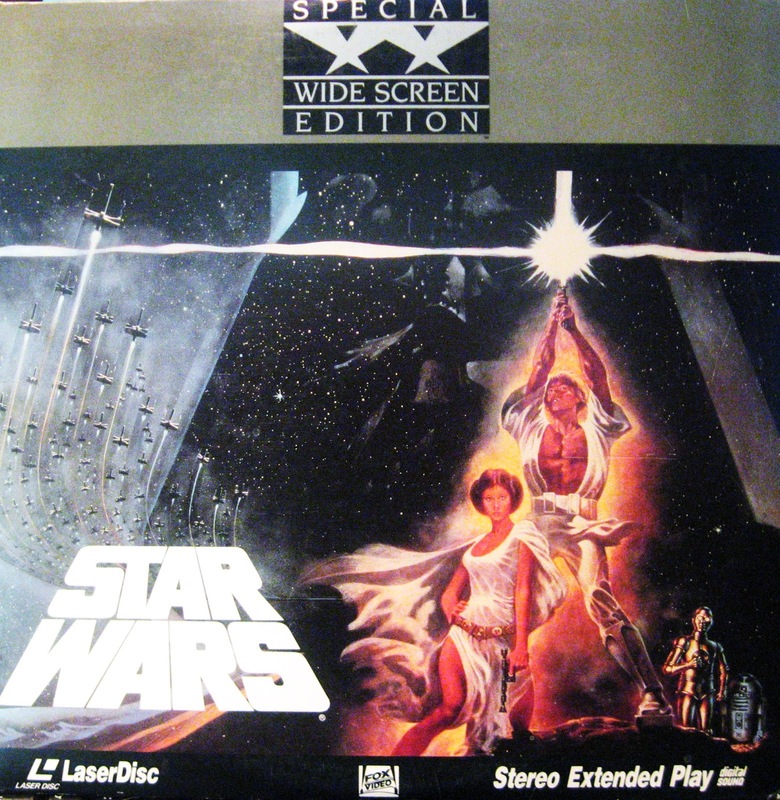 The graphics may look primitive today, but the game play was absolutely incredible. 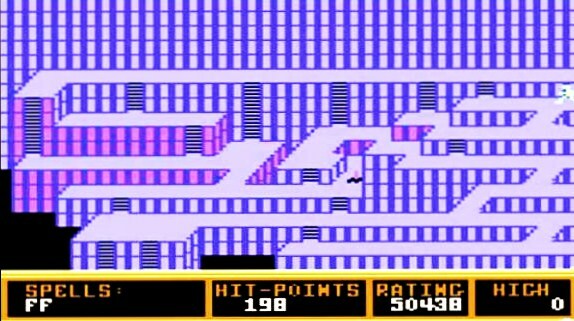 And the sound effects are pretty much as I remember, though at least one of these videos showcases the game for Commodore 64, rather than the Atari 800.